On a sunny Saturday morning, 15 students keen on travelling, met in front of Reading Station to visit Oxford. Everybody was looking forward to see the most important sights in this prestigious town. It took us about 45 minutes to get to Oxford by train. After arriving at Oxford station two Student ambassadors, Max and Roman, spearheaded the group through the beautiful historical old town, alongside Oxford’s schools, Castle and other pretty and old buildings. 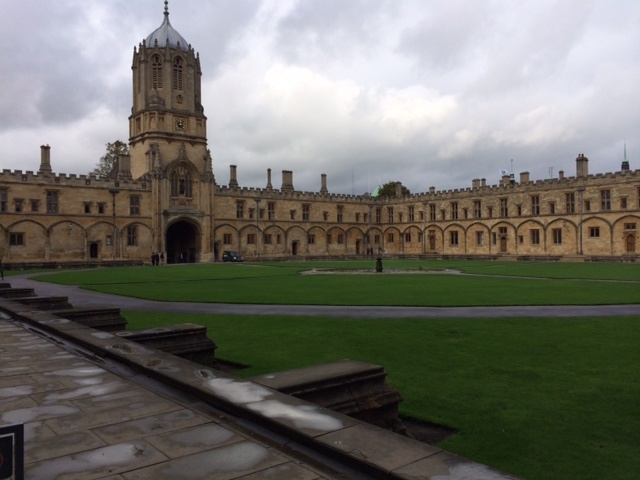 Following that, we went to Christ Church Hall, the famous place where Harry Potter was filmed and had a look around the whole school including the great hall (used by Oxford students as their dining hall). We ended up with a spare time slot for everybody to buy food and souvenirs (we had yet to have lunch!) before everybody caught up again to travel back to Reading. Altogether, everyone enjoyed the trip to a historical town.